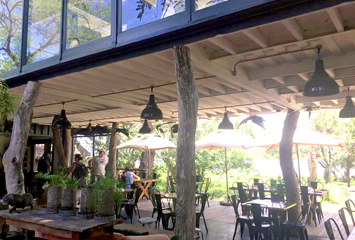 Where To Eat Out In Victoria Falls. 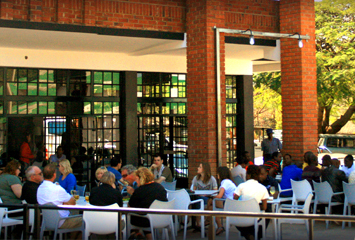 Some suggested independent dining experiences in Victoria Falls. 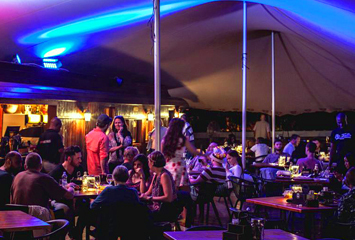 An evening of fun and good food! 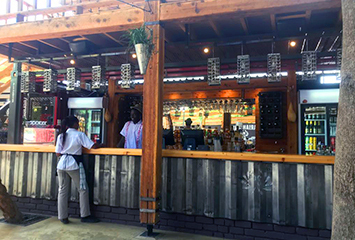 Enjoy traditional African foods as well as BBQ favourites. 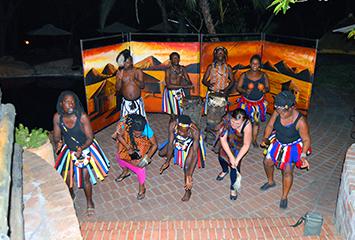 Have your fortune read by a traditional sangoma, or your face painted traditional style and join in the drumming after-dinner fun and you will come away happy and invigorated. Return transfers from The Kingdom can be included. 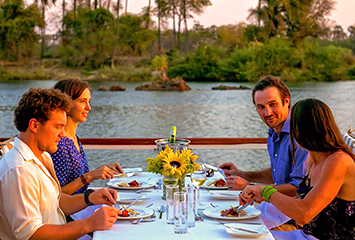 Enjoy sundowner drinks and snacks followed by a delicious 4 course dinner on the Zambezi River. Set departure times. Return transfers from The Kingdom are included.